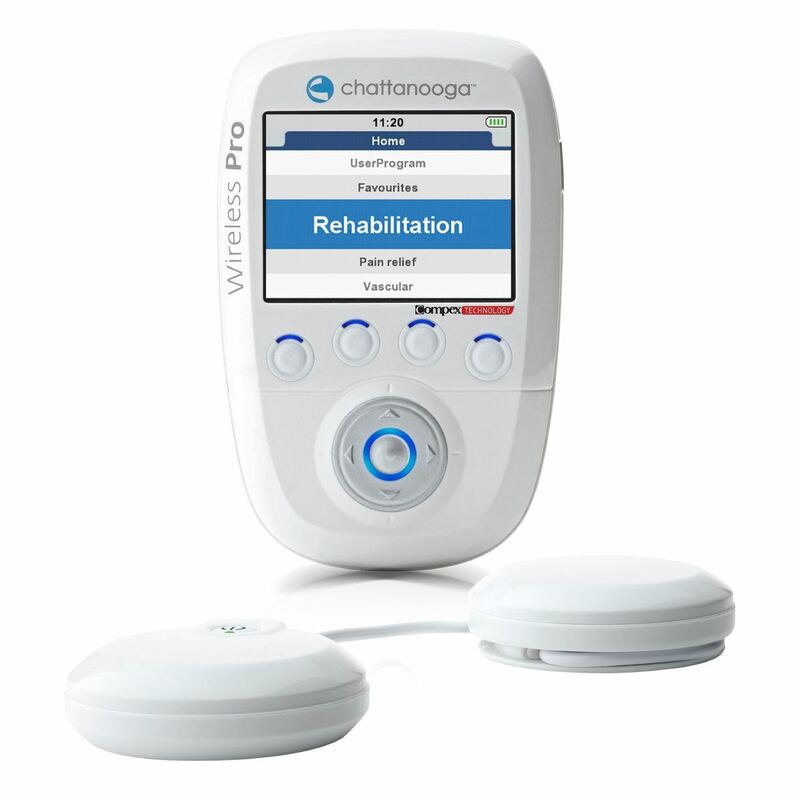 Wireless Pro 2 Ch Standard is a wireless 2 channel stimulator developed for Physiotherapists and Rehab Clinics that require a standard wireless option for electro stimulation. Delivered with 2 modules, 1 remote and a basic docking station, it meets all of the requirements a professional demands; pain management, treatment of vascular diseases, and muscle stimulation with basic programs. 4 standard program categories: Rehabilitation I, Pain I, Vascular and Conditioning I. Standard program configuration – 2CH. Remove constraints for you and your patient. 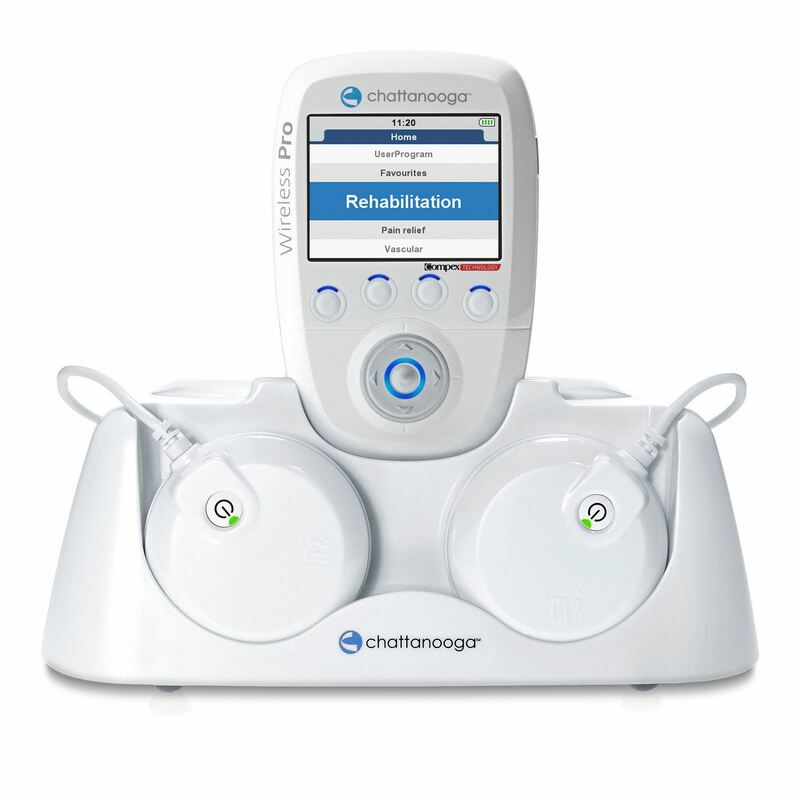 Gives your patient a total freedom of movement facilitating patient manipulations and allowing you to combine active exercise with electro stimulation for a better result. 4 functions Mi-Scan, Mi-Tens, Mi-Range and Mi-Action are available on each module (2 modules delivered). Design adapted to professional use with a silicon keypad that acts as a safeguard against water and gel penetration, and offers better ergonomic conditions in terms of keyboard use and buttons. Select one program and add TENS on other channels. This allows treatment of two different body parts, two patients at the same time or combines TENS and NMES when this kind of stimulation is required. Manage the session time and move directly in the next phase (recovery) when needed.